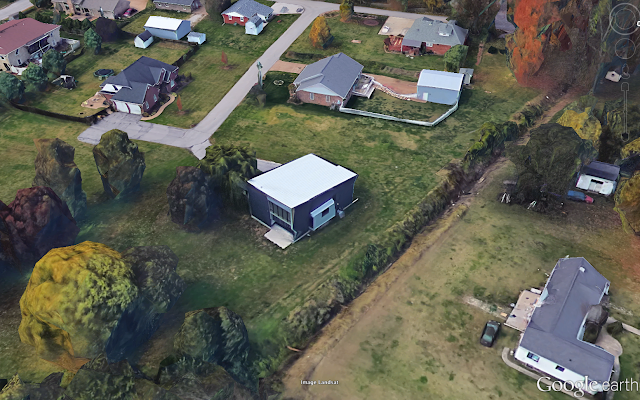 Modern House Plans by Gregory La Vardera Architect: Indiana XHouse1 now appearing on Google Earth! This is so very much the goal of these house plans, this catalog, this long project to offer modern design to anyone who builds their own house. To see them inserted in everyday neighborhoods, so ultimately the modern house can be everyday for anyone as well.